Now that you have found a buyer for your home, the next step is finding the best moving company to move your furniture and valuables to your new home. Look no further than Peluso Movers, the local agent for United Van Lines, the number 1 mover in America. Peluso Movers is a fourth generation moving company that has been serving the Naples area for over two decades. Their reputation as Naples’ best and most experienced movers makes them the only moving company I recommend to my clients. Whether you’re moving across town or across country, whether you’re moving a few pieces of furniture or a whole house-full, you can expect the same high level of service and care from the professional staff at Peluso Movers. Please visit their website at www.NaplesFloridaMovers.com. The first retail store and the staple of The Mercato, a new mixed-use development (residential and commercial property) on the corner of US 41 and Vanderbilt Beach Road will be open for business starting this Friday. The much anticipated all-natural and organic grocery store will offer a juice bar, a 4,000 sqft. produce department, a 24-foot seafood counter, in-house fish & meat smokers, a wine & cheese tasting bar, a brick over for pizzas, a 50-well salad bar, a cooking school and a 136 seat café. Not to mention, 175 new jobs for local employees. Whole Foods will be just one of many national retailers and restaurants to take up residence in Mercato. Also joining the line-up are retailers such as Sur La Table, Coldwater Creek, Z Gallerie, Books-a-Million, Femme Fatale, GiGi’s Children’s Boutique, JoS. A. Bank Clothiers, Solstice Sunglass Boutique, Swim ‘n Sport, a premium movie theater, Cines Unidos, which will open an eleven screen, 1,300 seat theater, and the restaurants, Capital Grille, McCormick & Schmick’s, AZN, Piola, The Pub, Stage Deli, and Blue Martini. With all of these stores available within walking distance, it’s easy to see why Mercato is such a hit with the Naples real estate market. Pre-construction residential units with views of “The Strada” (Mercato’s main street) as well as units with a more private view are still available. For more information regarding Mercato and the spectacular residential units for sale there or any Paradise Coast real estate questions, please visit www.DustinBeard.com. 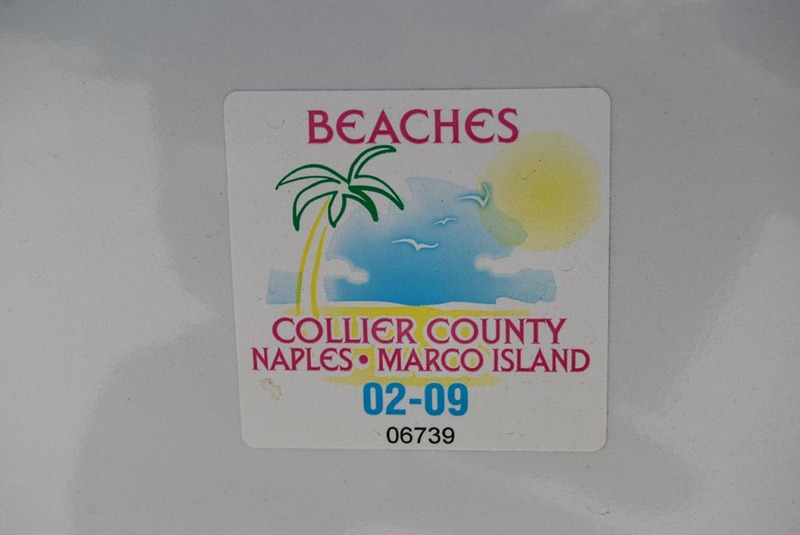 Collier County and Naples city officials are in the process of creating a new beach sticker that will be placed on the inside of the owners’ windshield. It seems there has been a problem lately with people peeling these stickers from bumpers and placing them on their own vehicle. The new sticker will prevent this from happening. Collier county and Naples city residents may obtain a beach parking permit for free with proof of residency. For more information on where to get a permit visit: http://www.explorenaples.com/beach_parking.phtml. The annual fee for these beach parking stickers will also be increasing for non-residents to $50; a $20 increase from last year. Rest assured, as that money goes to help protect our beautiful beaches and the up-keep of the convenient beach access points and parking spaces we enjoy in Naples. If you have any questions about Naples beautiful beaches or its outstanding real estate, please visit www.DustinBeard.com. These ten cities have made healthy living and active retirement a true priority. After reading this article, you might want to move there, too. The cities were chosen based on extensive research and the use of more than 20 measures of vitality. Physical aspects of a community (clean air and water, for example) were looked at along with the health and habits of the people living there. Are people making use of the hiking and biking trails, getting regular exercise, eating healthy, shopping for fresh fruits and vegetables at the farmers market? Does the city boost superior medical care based on having multiple “top-notch” hospitals? Does the area have one of the lowest cancer mortality rates? These are all factors involved in choosing the healthiest cities. The top ten cities are: Ann Arbor, Michigan, Honolulu, Hawaii, Madison, Wisconsin, Santa Fe, New Mexico, Fargo, North Dakota, Boulder, Colorado, Charlottesville, Virginia, Minneapolis-St.Paul, Minnesota, San Francisco Bay Area and Naples-Marco Island, Florida. For real estate information regarding any community in the Paradise Coast, Naples, Marco Island area, please visit www.DustinBeard.com. 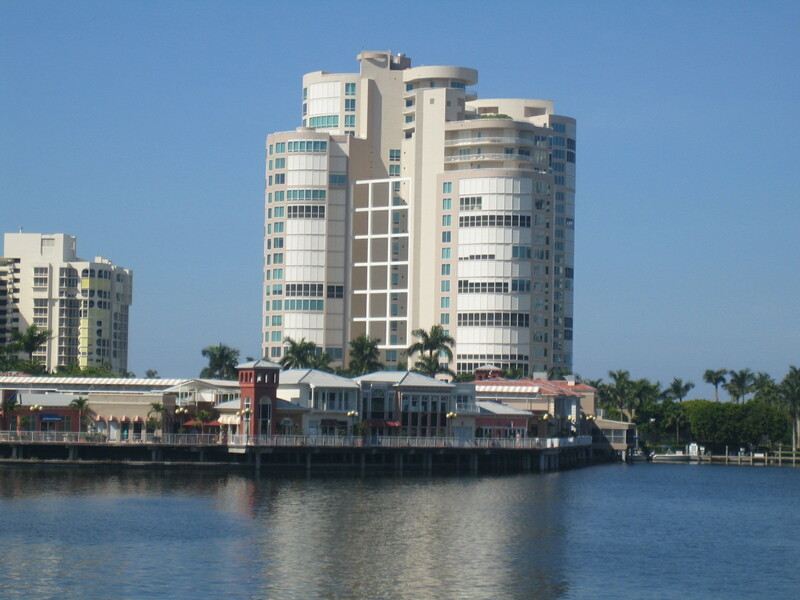 The Venetian Village was built in 1988 to accompany the many luxurious beach and bay front condominiums of Park Shore. Its Mediterranean architecture helps to blend this upscale, yet diverse shopping and dining area into the overall theme of its surrounding neighbors. With 60 shops and restaurants mixed between two buildings on either side of Park Shore Drive, any resident of Park Shore is within walking distance. 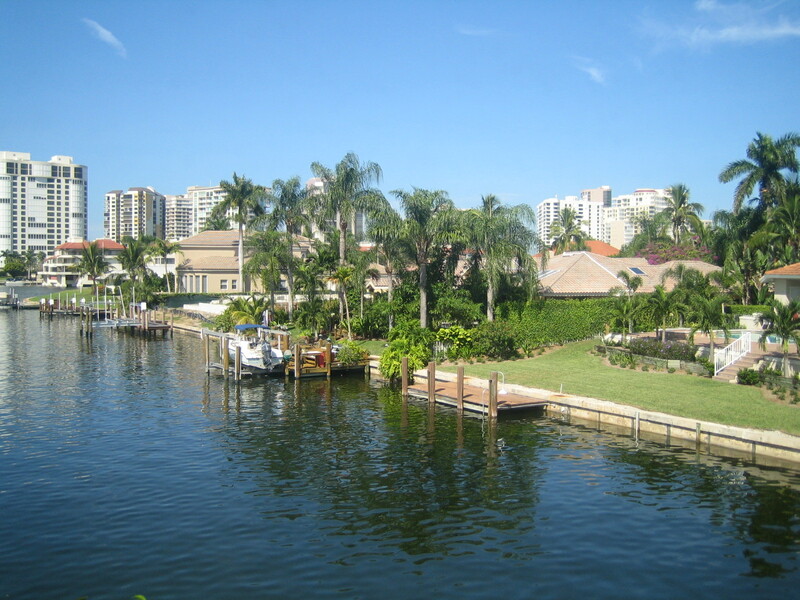 The Venetian Village vastly enhances the luxury lifestyle of the Park Shore area. Residents frequently meet at the “The Village” for dinner, to shop for the latest fashion, or to catch a song or two from one of the featured performers playing at The Pub Bar & Grill. During season, one can also take a romantic gondola ride through Venetian Bay and around the beautifully illuminated Village. The Venetian Village certainly adds to the real estate values in Park Shore. This year the Lutgert Companies are spending $4 million to renovate and improve the Venetian Village. A major part of this change, Maxwell’s (a staple of The Village for so many years) is shutting down for a facelift and will reopen as M. Waterfront Grille. Once finished, The Village will not only be the crown jewel of Park Shore, but a true place of destination for all Paradise Coast visitors. For real estate information on Park Shore or any Paradise Cost community, please visit www.DustinBeard.com. Location, location, location…Il Regalo, the newest community by Imperial Homes of Southwest Florida, is conveniently nestled off Orange Blossom Drive, between Goodlette and Airport-Pulling Roads. With only 35 home sites comprising this small gated community, it is easy to see why Il Regalo is a very family friendly development. Adding to the lure of the family atmosphere are the three school zones this development falls into: Pelican Marsh Elementary, Pine Ridge Middle, and Barron Collier High. All three are grade “A” schools. Il Regalo offers lots with both lake and landscaped views to build your dream home.Unlike some of the other developers along Paradise Coast, Imperial Homes of Southwest Florida will allow you to custom design your home. To help you with this process, Imperial offers pre-designed floor plans for you to tailor to your needs, or you can bring your own design. The newest home to be offered by Imperial Homes is a 3 bedroom + den, 2 1/2 bath, 2,227 square foot home built on a landscaped lot for $571,000. Where else can you find a new home of this size, in this location, for less? To obtain more information on this home, please visit www.DustinBeard.com. Manhattan Construction Company has acquired a controlling interest in Naples-based Kraft Construction Co. Inc. The deal will create one of the largest privately held general construction companies in Florida. Manhattan has offices in Houston, Oklahoma City, Mexico City Atlanta, Washington, D.C. and Tampa. Some of the company’s building projects include the U.S. Capitol Visitor’s Center, the Bush Presidential Library and the Dallas Cowboys’ new NFL Stadium. Kraft Construction Company, one of the largest privately held construction companies in Florida, was founded in 1968 by George F. Kraft. The current chairman and CEO of Kraft, Fred Pezeshkan, felt that the merger with Manhattan was “the right fit.” “The Kraft name will live on in Florida. Pezeshkan will remain the company’s chairman and CEO, and a shareholder in the company.” This merger will allow Kraft to grow outside of Paradise Coast —immediately in the Tampa area. Established in 1984, Imperial Homes of Southwest Florida is one of the area’s most prominent custom home builders. Imperial Homes has earned this reputation by building relationships with their customers based on trust, innovation, quality, and service. Leading Imperial’s team of professionals is its president, Curtis Gunther. Prior to Curtis’ arrival, he spent 10 successful years with Bechtel, a large engineering and construction company. His exposure to many projects, clients and cultures around the world has helped him develop a management and leadership philosophy that is focused on long-term customer service, controlling costs, meeting schedule commitments, and offering leading edge technology. You can currently find Imperial building custom homes in each of the following developments along the Paradise Coast: The Colony, Quail West, Il Regalo, Reunion and Mission Inn. For more information on each of these developments, please click on the name. For more information on Imperial Homes of Southwest Florida, and what they can build for you, please visit www.imperialhomesswfla.com. Latest proposed Naples budget holds tax rate steady. According to the latest proposed City of Naples budget, Paradise Coast taxpayers will not see an increase in their 2009 tax rate. They won’t see a tax break, either. The City of Naples is going to their rollback rate. This means the city will generate the same total amount of money as it did in 2007-2008. However, by setting the 2009 taxes at the rollback rate, the city budget will be unbalanced, with the difference being provided through the reserve account. Naples City Manager, Bill Moss said the city will have to use $600,000 from the reserve account to balance out the difference of the $106 million budget. In addition to using the reserve account, the Naples city staff, are also being asked to help bridge the gap in the budget. One of the major ways in which this is being accomplished, is the cutting of city staff positions. This year, the City of Naples will drop 32 staffed positions, saving about $2.3 million in salaries and benefits. These workers are being offered positions in other government jobs. Naples is facing this $3 million deficit due to a decline in the overall value of Paradise Coast real estate and recent property tax legislation. The first hearing to approve this budget is set for 5:05pm, Wednesday, September 3rd. The budget must be approved by the beginning of the city’s fiscal year, October 1st. In 1957, with backing from a wealthy Cuban named Julio Lobo, Milton Link purchased the first of six sections of land, which was to be developed into the Moorings. Link paid $1.5 million for that first section of land which was almost totally submerged from the Gulf of Mexico to Crayton Road. To sell the land, Link began dredging the submerged areas. He built a mound of earth to which a staircase was erected to take real estate agents and potential buyers to a point where they could see the entire stretch of land and progress that was being made. Unfortunately, Link only sold one lot in the first 18 months. 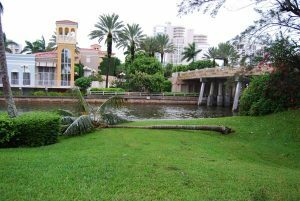 It wasn’t until 1960, six months after the worst hurricane to hit the Paradise Coast (Hurricane Donna) ripped through Naples, that a heavy infusion of insurance money jump started real estate sales. The first lot in the Moorings sold for $4,500. Waterfront lots sold for $9,500. The Moorings Property Owners Association was formed in the early 1960’s with approximately 60 members. The main purpose was to hold title to Lowdermilk Park which had been dedicated to the Moorings residents. For the full story of Milton Link visit http://web.naplesnews.com/ceandw/032007/feature_moorings.html. For more information on Moorings Best Real Estate, visit www.DustinBeard.com. Tropical storm leaves the Paradise Coast with plenty of rain, no major injuries or serious property damage. At around 5 a.m. on Tuesday morning tropical storm Fay came ashore over Cape Romano near Marco Island. Fay’s strongest sustained winds were measured at about 69 mph and stretched up to 125 miles from its center. The storm dropped three to seven inches of rain across Collier County. Fay continued to travel north-northwest at about 9 mph, leaving thousands of power-outages, downed trees and flooded streets. At one point at least 42,000 Collier residents were without electricity but good progress was made repairing the outages on Tuesday. There was some isolated flooding in East Naples, Everglades City, Chokoloskee and Immokalee. Marco Island had light flooding and standing water but damage was minimal. Beach monitors will be checking the county beaches on Wednesday, but at this point the beaches seem to have suffered only minor damage. However, the high tide on Tuesday afternoon was a concern as were sea turtle nests. Tuesday, the first day of school for Collier County students was cancelled and Wednesday became the start of the 2008-09 school year. Home sales continue to recover as more take the steps to purchase. The Naples Area Board of Realtors has reported that home sales in Collier County have continued to rise in July. Overall sales are up 31 percent when compared to a year ago, with single family home sales increasing 22 percent and condominium sales up 43 percent. The July report also noted that pending sales—those that have yet to close—grew by 75 percent. Pending sales on higher priced homes–$500,000 to the 1 million category, rose to 62 percent in July. Since buyers are making offers and following through with purchases of property, the inventory of homes is continuing to shrink. The selection of quality properties at unbelievable prices is slimming. Second-home buyers from up north made purchases this summer after viewing the properties this past winter and waiting for the prices to drop in the slower summer months. In communities such as Bay Colony, Pelican Bay and Bonita Bay there is less than a year’s worth of inventory for single-family homes. Many Paradise Coast Realtors report that they are seeing the market turning around. The coastal areas, Olde Naples, Moorings, Park Shore, Pelican Bay, Bay Colony and Vanderbilt Beach, are the first to come back, with other areas gradually following. To see NABOR’s full report, go to www.naplesarea.com. Purchased in 1964 by Mr. Raymond L. Lutgert, Park Shore was an undeveloped piece of marsh land nestled between US 41 (the main and only road linking Naples with its northern neighbors) and a mile and a quarter of beautiful, white sand beaches. Six years later after digging the Venetian Bay and creating the land structure we know as Park Shore today, the first condominium, Colony Gardens, was completed. Soon after Colony Gardens, it was the tallest and most luxurious beach front building Naples had ever seen, the Horizon House. In 1988, the Venetian Village, an upscale shopping and restaurant area was completed. Heralded for its Mediterranean theme with meandering terra cotta walkways, quaint courtyards, Venetian-style facades and a relaxed bayside ambiance, “The Village”as it has come to be known, quickly became a favorite shopping area for Naples elite. Recently, The Village, has been updated to the tune of $4 million dollars. Throughout the next 37 years, Lutgert Companies would develop and build all of Park Shore’s beach and bay front condominiums, adding the final piece, Aria, in 2007. The newest and last beachfront condominium to adorn the Park Shore skyline, Aria, boasts 2-car garages, a grand 2-story lobby, a stunning large pool and pool deck area, billiards room, fitness center, two clubrooms, and two amazing guest suites. Just a few developer units and a handful of re-sale units allow the opportunity to live in this tremendous building. 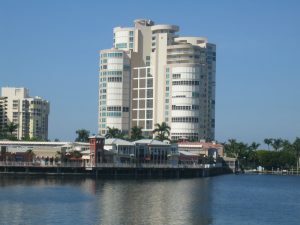 For any questions regarding any of Park Shore’s beach or bay front condominiums or to view this exclusive real estate, please visit www.DustinBeard.com. 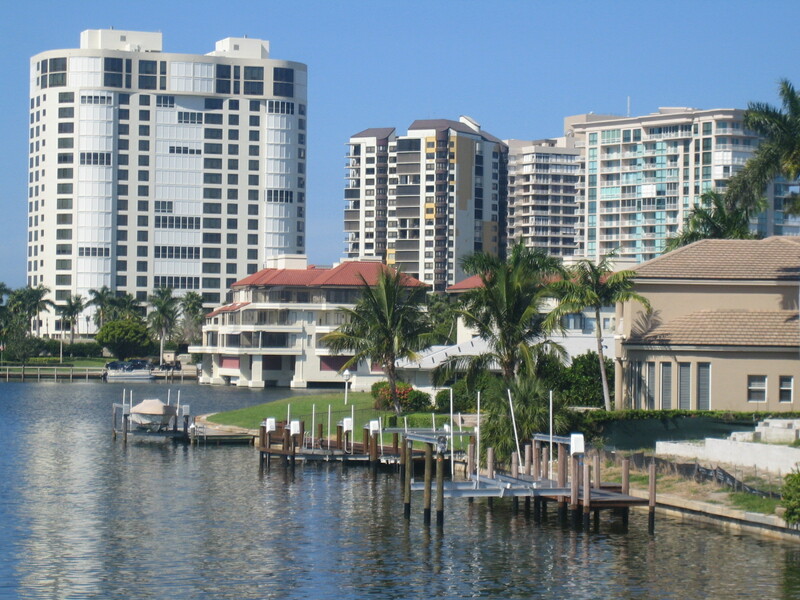 Southwest Florida is often referred to as the Paradise Coast and has become a popular choice for a second home location. The sugary white beaches of Naples, Marco Island and Everglades City are often ranked among the nation’s top 10. Besides enjoying the beaches, fishing and sailing are also popular. Collier County has beautiful protected open spaces, including Big Cypress National Preserve and Everglades National Park. If golf is your passion then Naples is your vacation paradise. The region has nearly 90 courses, claiming to have more holes per capita than any place in the nation. After a round of golf, you can stroll along Fifth Avenue South and Third Street South. This downtown area is lined with shops, cafes and more than 130 art galleries. Naples, with its small town character, is still a place where the most elegant home buyer can find something that meets all of their needs. Whether it is a luxury beachfront condominium in Park Shore, Moorings, Bay Colony or Vanderbilt Beach or an exquisite single family home in Pelican Bay, future owners have many building, location and amenity options. 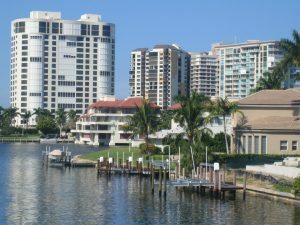 For more information on Naples real estate or Paradise Coast real estate, please visit www.DustinBeard.com. & bar located on the 1st floor, just above the pool, that will also provide room service to its owners. Combine that with a beach and pool side service, an 18-hole championship golf course and a complete in-house concierge service, it is easy to see why this will be the most exclusive high rise condominium in the area. Whether you prefer the extra sun provided by a southern exposure or the truly uninterrupted, unimpeded northern view all the way to Sanibel Island, each unit has the benefit of pass through views to both the beach and bay. Pre-construction as well as re-sale units are available in all stacks of the building. To get more information on this unique beachfront opportunity, submit your questions to www.DustinBeard.com.